I’ve been writing about my passions since 1993. * Hard copies and e-books – fiction and non-fiction: novels on South Africa, self help, personal growth, inspiration, travel, humour and money books. 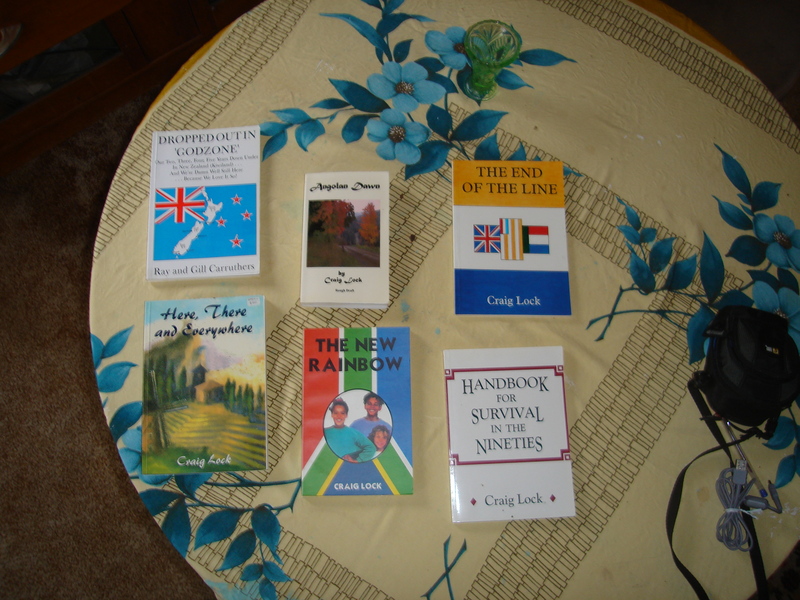 Craig Lock is an extensive world traveller and failed professional emigrater who has spent most of his life’s savings on airfares. He is still ‘sliding down the razor blade of life’, stuck on a deserted (other than a few brilliant rugby players) island at the bottom of the world near Antarctica, where he is ‘trying to throw a double six’ to get off and go out into the real world – but he doesn’t know where! An introductory guide to make the most of your hard-earned money. This work covers the basics of good money management to helping guide the more serious (and sophistocated) investor. We’ll see whether the principles DO work, or whether he’s merely dreaming! One man and his family – and their experiences “Down Under”. 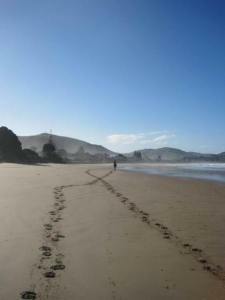 A new immigrant’s impressions of life in provincial New Zealand (after coming from a large city in South Africa) … and there were one or two rather funny adventures, nay escapades in “Sleepy Hollow” from time to time. The author and his wife contrast life in colourful, vibrant South Africa with calm and kindly New Zealand – and with large dashes of humour offer much understanding of, and sympathy with the social attitudes of the two worlds. This book breathes a natural humour and kindliness, which is what gives it the individual character that is so appealing. A tale of my intense passion for all sports throughout my life. A humorous and “mad” look at how to make the most of yourself. as well as finding the “crazy” bits in you. The “secrets” by someone who thinks he has now found them – by “throwing a double six”, at long last – after many, many years of “sliding down the razor blade of life”. 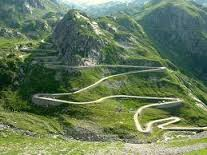 Also after having had many detours and come to numerous ‘cul-de-sacs’ (dead ends) along the long and windy road that is life. Up hill and down dale, no rather up mountain and down valley – that is the story of my life. Uplifting thoughts on success, business, sport… and life. Get Cracking and get your book written, completed and published now! 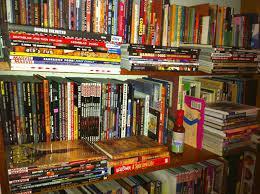 We offer the complete package of helping you write that book within you and to get it published. At the end of the book you will have a published book, if you have a manuscript ready to go! MY STORY: Just the real story of my life. and a craft that gives me great satisfaction. A look at the many colourful peoples, who make up this diverse and vibrant society, as seen through the eyes of a newspaper reporter. 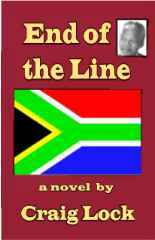 Many colourful “vignettes” in this “land of great contrasts” – happy, sad and true, that was the fabric of South African life in the lead up to the historic Democratic Election of 1994. We live in a very complex country of great disparities and extremes, especially in wealth and in living standards. A land of great contradictions: a land of sunshine, a world in one country, a land of laughter in this strange and beautiful place. Much of the laughter from the very people, who have suffered the most and felt the most pain in this strange tormented place of ours. Yes, there is that sadness in the eyes of them too. So to put it simply, South Africa is just one happy, sad land…and I hope that the lives of ALL South Africans will become better in the sunny days ahead. A true tale of an Angolan migrant miner who goes to ‘e’Goli’, the big city of gold in South Africa. Also a realistic portrayal of the Angolan conflict in “darkest Africa” through the eyes of a hospital orderly. A moving and realistic novel about the evil and destructiveness of war, as well as the inherent goodness within every human spirit. – Bernoldus Niemand, from the Boer reggae song, ‘Reggae Vibes is Cool’. A ‘rather wacky’ (“bedonderde mal” and nostalgic look and what I miss about SA life living ‘in exile’ on the other side of the planet… as a new democratic South Africa is being born. First part of story written from perspective of a rather straight white South African, who emigrates, meets with some sort of accident, loses his memory and later returns home with a very liberal and radically changed outlook. Becomes friendly with several Africans in the New SA, goes partying with a group of them, gets “blotto”, dreams he’s an African…story of his adventures in dreamland. BY CONQUERING STRESS AND NERVOUS TENSION. and “my life’s work”. A passionate story of inspiration: hope, faith, peace and especially LOVE for the world and inspired by what I simply term God, the Creative Source of Life itself. That is my legacy to my beloved family…and the world. 19. Craig is presently working on his latest novel ‘The Awakened Spirit’, based on some true and inspiring stories of the indomitable human spirit, that lies within each one of us. Stories of ‘endless possibilities, far and great horizons’. He firmly believes in the motto: “Find what you love doing, then you will never have to do a days work in your life.” Craig is certain he has found his niche in life… anyway, what other job would be suitable for him?